In what could turn out to be a brilliant bit of marketing Krispy Kreme and Sony Pictures have collaborated to create two kinds of marshmallow-filled doughnuts to celebrate the Blu-Ray release of the 30th anniversary edition of Ghostbusters. 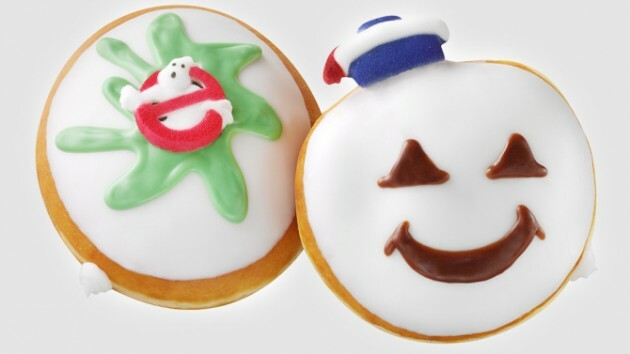 The Ghostbusters doughnut will feature white icing, a green splat inspired by the film’s Slime (or Slimer), and a Ghostbusters logo sugar piece. The Stay Puft Marshmallow option will be decorated with white icing, the Stay Puft Marshmallow Man’s face and a sugar hat. On a side not im not entirely sure this will happen in the UK ….. but I hope it does, even if it means me having multiple treat days.